We used to often go to a fabulous vegetarian restaurant in Brixton, South London called Peter Peppers (sadly now closed) where they served gorgeous Mediterranean vegetarian food. Their Provençal fries were always a highlight of the meal – crisp, herby and oh so addictive. 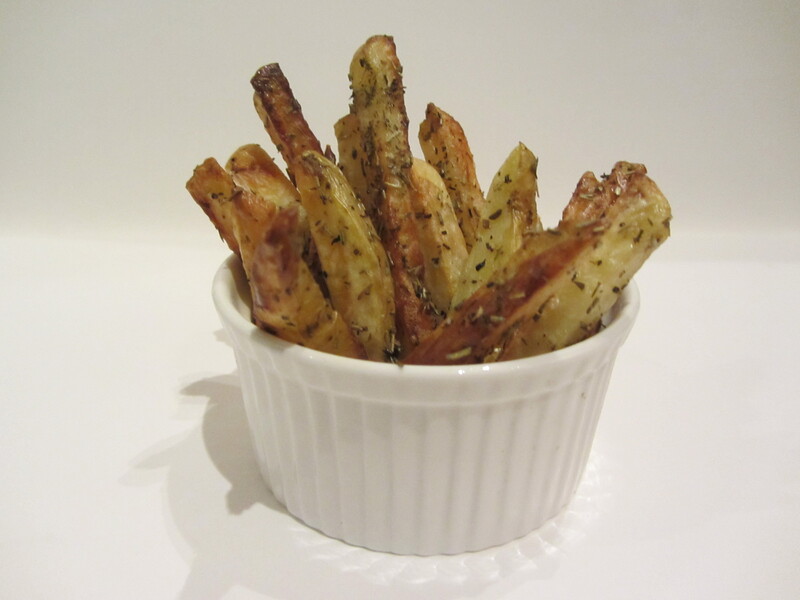 This is my version….. healthy, baked fries doused with plenty of herbes de provence and a sprinkle of garlic powder. I defy anyone to not love these! – Place the potato sticks into a bowl and drizzle with the olive oil. Mix well. – Sprinkle on the seasoning and thoroughly combine. – Turn onto a baking tray. – Roast for 30-40 minutes, turning them every 10 minutes or so. – Serve once cooked through and thoroughly browned. I love the idea of using the herbes de provence on the oven fries! I’ll be trying this soon! I remember it was England where I learned there were “floury” and “waxy” potatoes, new potatoes, and more kinds of potatoes I’d ever seen before! I wonder how herbes de provence would taste on sweet potatoes? Mmm, I bet it would be nice. It’s funny, I take it for granted that everyone has a big range of potatoes available! But then again, potatoes are quite important here! Yes they are! Trying to stay off them, but it can be hard, like yesterday for Thanksgiving! Ooh, it must be hard to avoid potatoes. 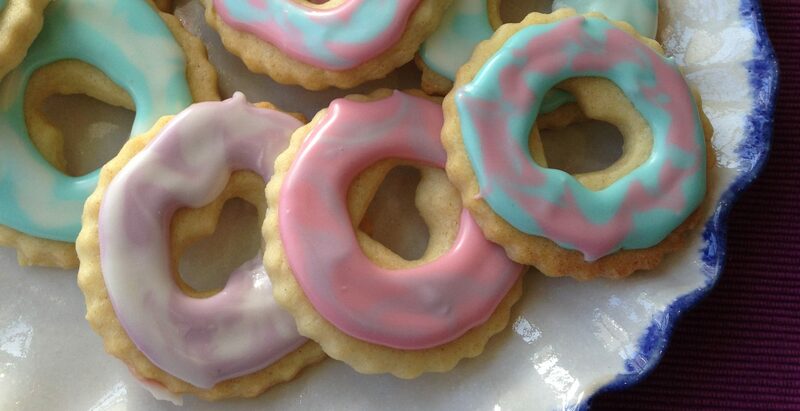 They’re such ultimate comfort food…. I’m using Japanese yams as a sub, and they’re working out pretty well. And minus the tummyache, so that’s good, right? It’s funny how in sync we often are. This is exactly how I’ve come to make “fries”… except I’ve never used herbes de provence on them. Great idea! We do seem to be in tune! Try the herbes de Provence, it really is delicious. Do you have any secret seasoning ideas to pass on? I used to make a mixture of chili powder, onion powder, garlic powder, salt, and pepper (no measurements, just to taste), but lately I’ve been lazy and just sprinkling on some salt.